To buy, consign or sell Prince worn jewelry for up to $75,000 each, please email Nate@NateDSanders.com or contact the Nate D. Sanders Auction House (http://www.NateDSanders.com), by calling (310) 440-2982. 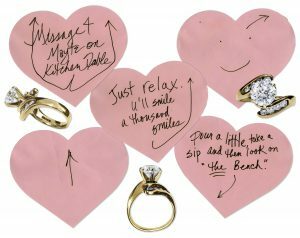 The diamond engagement ring with which Prince proposed to his wife Mayte Garcia, accompanied by 5 handwritten heart notes, which Prince used to lead her on a romantic journey to the ring. At the end of the journey was this stunning round diamond of approximately 2.2 karats, measuring 8.3mm. Large diamond in its secure 6-prong setting perches regally over twisted shoulders showcasing eight channel set round diamonds in a gold band. Stone is cut with a high crown, with ring showing good clarity as well as good white fluorescence. Ring is sized 6.125. Each heart-shaped pink sheet measures 7.5″ x 6.5″ with notes handwritten by Prince, intentionally blurred here. Fine condition. Set of 5 handwritten notes are offered as a collector’s piece only and do not come with rights for reproduction, manufacturing or distribution. A remarkable, romantic piece from one of the greatest entertainers the world has ever known. From the collection of Mayte Garcia. Gold colored necklace with 64 sparkling diamonds worn by Prince when he and his wife, Mayte Garcia, met Prince Charles. Beautiful custom-made necklace has 19″ chain made of hollow gold. Back of necklace contains designer imprint and date: “Lori Elder 7/98”. Scorpio symbol measures 1.5″ and is not made of gold. Some discoloration to verso of necklace, otherwise near fine condition. From the collection of Mayte Garcia. 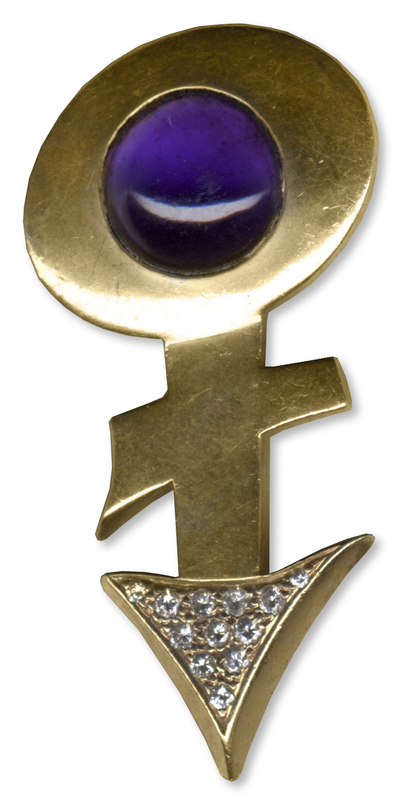 Gold Prince ”love symbol” pin personally worn by Prince, and made of diamonds and amethyst. Custom-made pin contains an amethyst and 12 sparkling diamonds. Real gold is unmarked. Measures 2” from top to bottom with 1.5” needle in back. Minor scratching and tarnishing, overall very good condition. One of a kind piece of Prince memorabilila. From the collection of Mayte Garcia. Sold for $12,500. 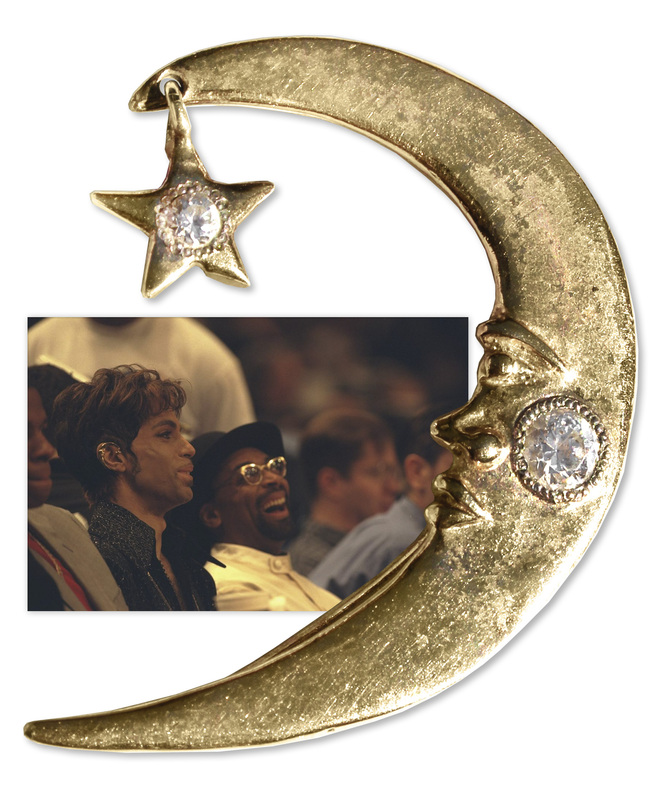 Moon and star ear wrap worn by Prince to the 1998 NBA All-Star game that he attended with Spike Lee. The playful piece of jewelry is gold plated sterling silver, with silver percentage stamp, designer and date marked: “925 / MARTY 1994″. Measures 1.75”. Some wear and tarnishing, but overall very good condition. From the collection of Mayte Garcia. 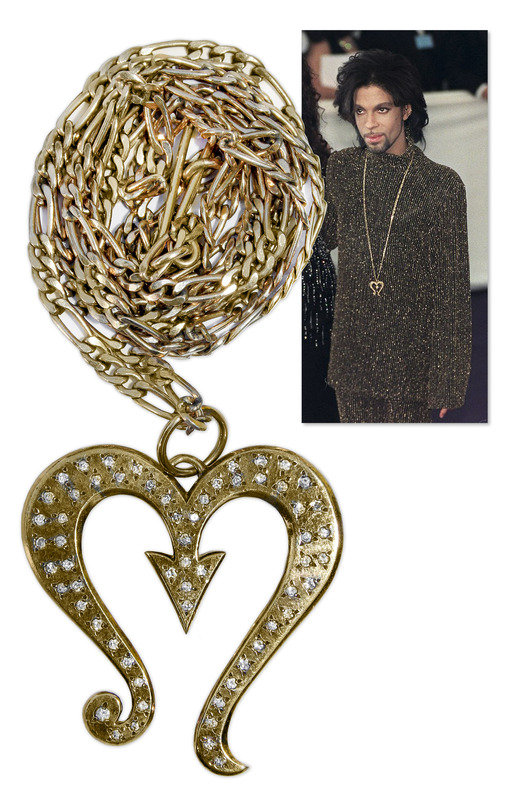 Sterling silver link necklace with gold tone personally worn by Prince. 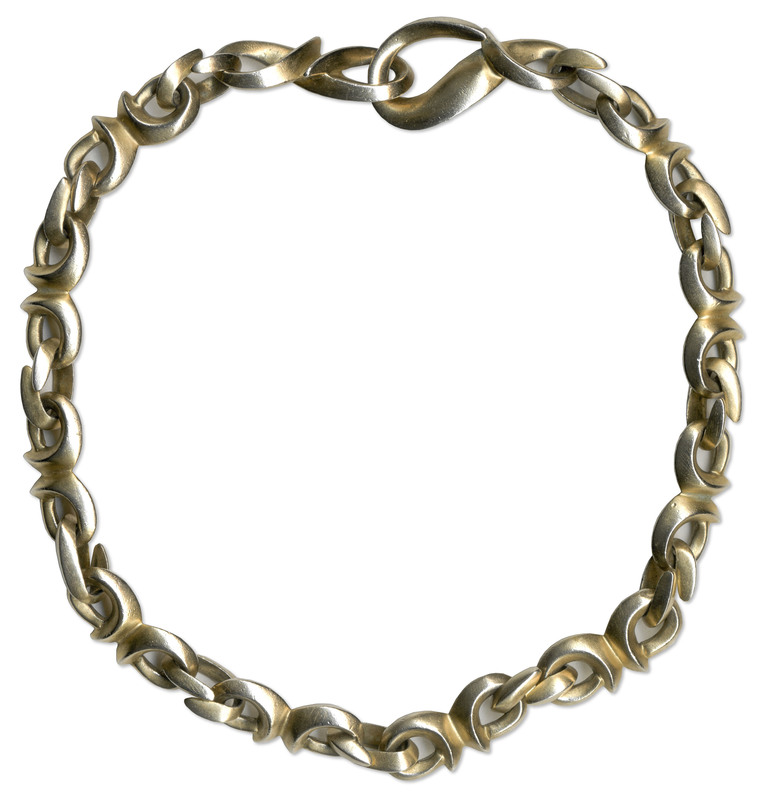 Intricate cable chain has custom clasp and loop, and measures 17″ in total length. Hallmark on clasp reads: “STERLING 92.5”. Minor wear, overall very good condition. From the collection of Mayte Garcia. 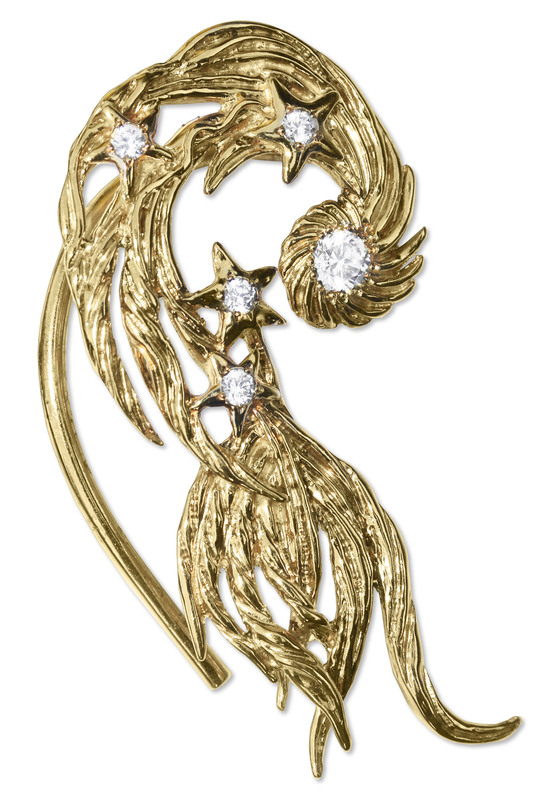 Ear cuff in the shape of swirling feathers, personally worn by Prince. The fanciful piece of jewelry is most likely gold plated sterling silver. Verso of ear cuff contains designer imprint that reads: “Marty”. Measures 2.5″. Minor tarnishing, otherwise near fine condition. From the collection of Mayte Garcia. To buy, consign or sell Prince worn jewelry or any jewelry worn by Prince, please contact http://www.NateDSanders.com Auction House, by calling (310) 440-2982 or email Nate@NateDSanders.com.